H&M and Zara are two of the largest clothing companies in the world. While many advocates of the rainforest have previously focused on limiting the destruction of the rainforests from pulp and paper, timber, soy, palm oil and cattle companies, but the clothing industry has been majorly overlooked. 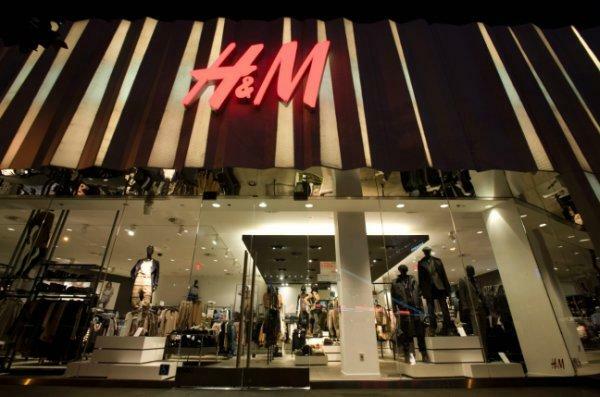 However, both H&M and Zara are looking to lead the front in cutting deforestation from supply chains of their global brands and have pledged to completely eliminate old-growth forest destruction from their products. The impact that the clothing industry has on forests is rarely acknowledged, but their footprint has been expanding for awhile now. Research from the environmental group Canopy found that boreal and tropical fiber routinely ends up in fabrics used in a wide range of clothing. In a statement released by Canopy, they stated, "Rayon, viscose, modal and other trademarked fabrics are increasingly made from the world’s most endangered forests, from the tropical rainforests of Indonesia to the great northern Boreal Forests. Globally rare forests are cut down, pulped and spun into suit jacket linings, dresses, skirts, t-shirts and tank tops. The dissolving pulp/viscose industry is poised for continued ambitious expansion and poses an increasing risk to threatened forest ecosystems around the world." Canopy estimated that around 70 million trees are cut down annually for fabric production and expects that the number will double in 20 years, however not with this recent pledge by H&M and Zara. H&M Environmental Sustainability Manager Henrik Lampa states, "We are fully committed to exploring our supply chain and doing our utmost to avoid these fabrics within the next three years," Lampa said in a statement. “Working with Canopy, we are excited to take the additional step of encouraging leaders throughout the supply chain to support conservation in endangered forests and use alternative inputs, for example recycled clothing, so our actions create lasting change."